Don’t you think at some point of our lives we have been there? You look up online to make some business contacts, to learn about new and successful companies, some interviewers and the only information you are able to come up with is a LinkedIn profile. And it gets so frustrating because that is all you learn about the person. Clearly you marooned in a land of digital waste where you can learn absolutely nothing about someone’s personality. It is definitely time to make some change. But how will make that happen? Simple! In this post, we are going to discuss some of the top ways in which you can do so much more than just a good resume. There are plenty of ways to show what you are capable of! And the answer to the question is right here. When we tell you to deliver more information, we are expecting you to speak more about yourself. You should always know there are plenty of graduates out there in the world who are looking for a job. But not all of them have been brave hearts or done something out of the box like won a salsa dancing competition. Those who have will definitely mention this when they are seated in front of the interviewer. And why would they do so? Because that would make a good and different impression! That would make you look like you are so much more than just your resume. In order to display you real side, you can always start up with a new blog on wordpress! Sharing a Flickr album or making a twitter account would be good. This will also help you explore yourself, expand your repertoire and also be a great treat for people who are searching for you on Google. Trust me! That will help you make a very fine impression. If you enjoy reading, you can always set up a bookshelf on Googlereads. If you love music or have a passion for it, give SoundCloud a shot. You never know what interviewers are in search of. If you love to make things on your hand or handcrafts are your thing, Etsy would be ideal for you. This will definitely give you a unique and fine impression. Please don’t misunderstand me! Resumes are still important. Clients and managers are still going to go through your work and education to see what you are all about. Your resume should be creative and interesting that adds depth and color to your resume and character. If you have a talent of telling good stories, prepare them! This is not just a beneficial exercise but will also show that you are really good at something apart from just scoring well in tests and exams. You should be able to back up anything thrown at you and deal with difficult questions when asked. A bad story might sometimes bring you good luck during interviews. . When you maintain a positive attitude at work, the interviewer starts to see your real worth. He or she will finally begin to understand that you are so much more than your resume. After all, a part of your work is based on your behaviour. So make sure that it is taken care of. Ensure to project yourself as a confident person, even when you have been asked questions that are negative in nature. If you haven’t participated in more activities during your college life, then you should do so right away. Take part in more group discussions and participate in activities related to social work. This will definitely help you prove that you are much more than your resume. The recruiters and hiring managers will have the impression that you are an extrovert and that you are definitely worth hiring compared to other candidates. Get hold of the projects that you have loved working for in the past and try to understand all the skills that you possess. Self assessment is a difficult job because you can’t always tell whether you are right or wrong but try to be more honest and patient with yourself. The whole point is to make sure you know everything about yourself so that you prepare a list of options of where you would like to go in the future or the skills you would need for your company. This will have to depend upon your geographic location and the research growing companies that belong to that region. You may also find a list of employers in the city by just looking up websites online. Then you should prepare a list of all those who interest you the most and the roles you could play if you get selected. You may also send an email to those who belong to human resources so that you may find out who all are interested. Meeting people who work in target companies may also be a great way to start off! Even job fairs would be an ideal option. The only reason you would like to meet or talk to someone is so that you learn everything you should about the organization. This will have to depend on your previous experiences and research. You will have a better idea on this. There are several skills and talents that you would like to highlight when you are preparing your resume. This will actually help you a lot more than expected. Even though you are very tempted to talk about how much you would like to work for a particular company, you have to learn how to hold back. The only reason you are going to meet and talk to someone is because you are keen on expanding your knowledge and learn as much as you can about the organization. You must also look for ways to improve yourself. This is an important step. There are several ways using which you can stand out in front of the rest. When you go ahead and volunteer in important and well known organizations, you have more opportunities to network and create new contacts. Join more organizations on websites liked LinkedIn. Here you will meet people who think just like you and that could be a great way to expand and learn more. Now this could sound very funny but you need to tap your insider. Find someone that you already know or can speak to when you are sending your application. This will help you a lot in the future. Let your employer know that you are keen on taking up the job and make sure you ask if he or she can also send your resume along with others. There are plenty of companies all over the world who have referral programmes that could help some of their employees earn some bonus that is also referral in nature. 15. Are your resumes still of any value? Yes! We are going to say this again and again. Your resumes are never going to be of less value. There are several techniques used by experts to sort resumes. The problem is that some really don’t know this. This is why they cannot come up with resumes that feature some of their best assets and use key words that will help them be found. If you have recently completed graduation and are now in search of new jobs, please take some time and create a contemporary resume and what you need to do in order to highlight your skills as well as capabilities. Preparing a list is sometimes not enough. Yes! 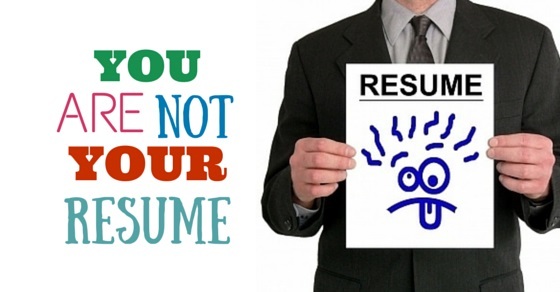 As we have already mentioned above…resumes are important and we are not going to hide that from you! But always remember there are hundreds of others who probably have the same resume as you do. So what will set you apart? Definitely some of these ideas and tips enlisted in the post will get you going! Your future job is quite dependent on the steps you will take. So make sure to do careful and proper research before you attend an interview. Proving your worth far more than a piece of paper might not be the easiest task but hopefully this post will give you some help. On that note, good luck and here’s hoping you end up with the job of your dreams.